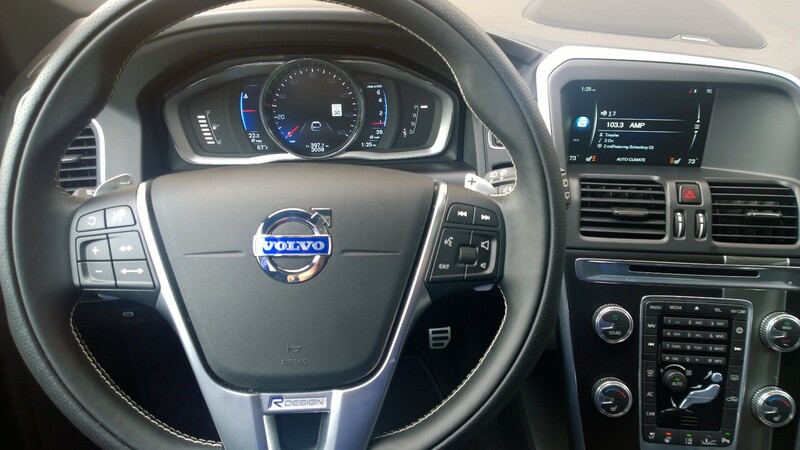 The 2015 Volvo XC60 T6 takes a safe, dependable, family hauler and gives it a good does of style, comfort, and plenty of performance to make this crossover feel more like a very solid sedan. 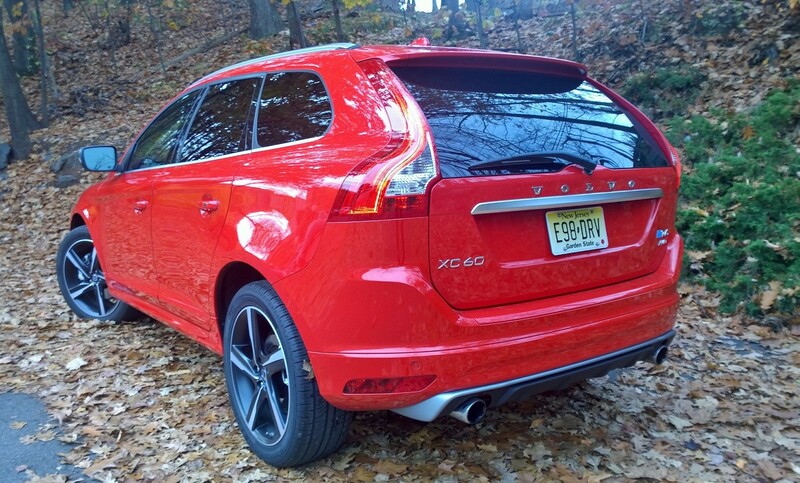 It’s technically the 2015.5 according to Volvo, but we’re going to go with 2015 like the rest of the world. Always known for being safe and, thanks to a certain movie, boxy, the XC60 fulfills one of those expectations but thankfully not the other. 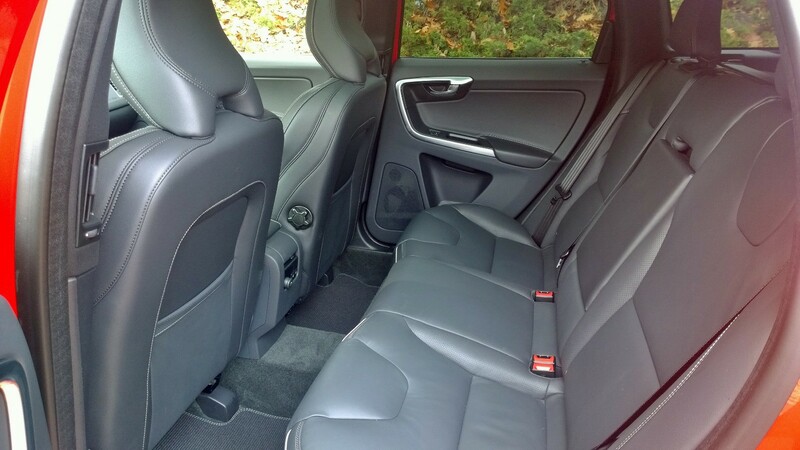 The exterior is clean and uncluttered with svelte lines that are in no way boxy with a sportwagon style that differentiates it from most other crossovers. 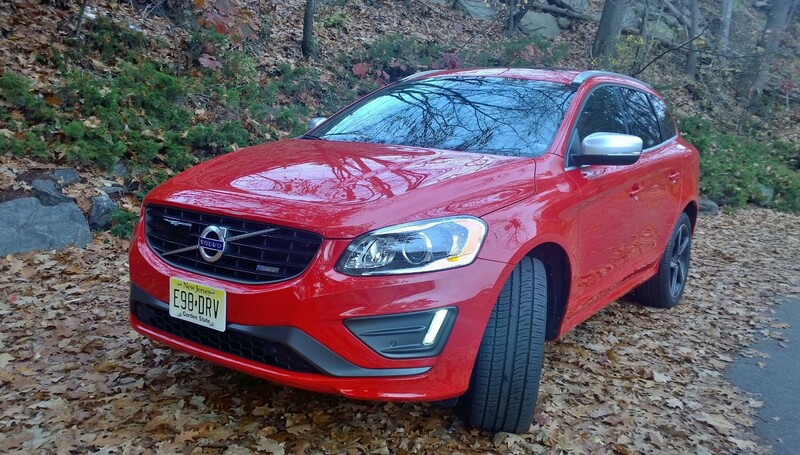 The grille was new for 2014 and continues into this model year, and it’s a large part of what give the XC60 a unique and appealing character. It’s still got the chrome diagonal running from lower left to upper right with the badge right in the middle, but the horizontal bars on the grille make it more refined than the old rectangular grid. The interior, too, is a tribute to simplicity without the overt fussiness that seems to be creeping into the dashboards of many SUVs and crossovers. Even with the extra flair of the R-Design we tested, which adds leather sport seats with a bit of contrast stitching, a leather sport steering wheel and gearshift knob, and a blue adaptive digital TFT display inside, the dash remains simple and clean. 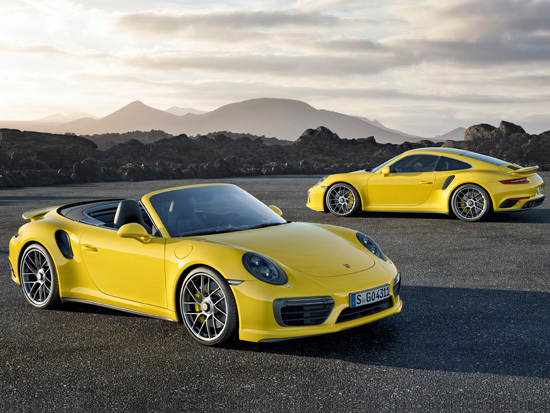 Those sport seats are very comfortable with good support but perhaps a little too much bolstering. Larger people might feel a little squished so if Dad happens to be a big guy, then this is going to end up being Mom’s car because he’s not going to be comfortable using it as a daily driver. 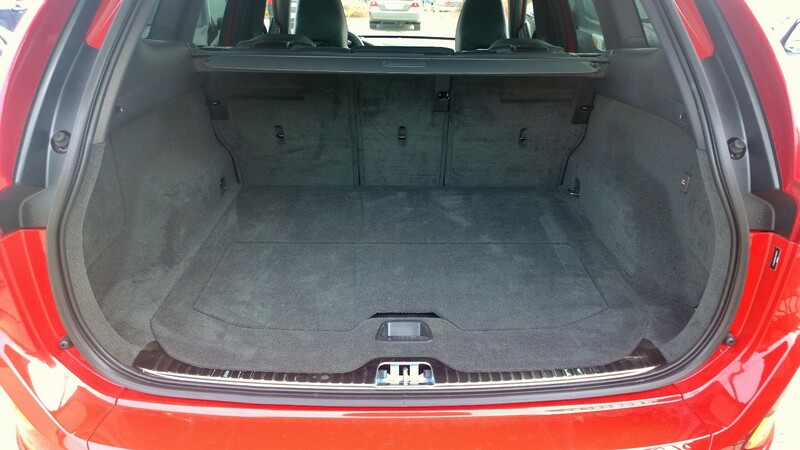 Mom, on the other hand, is going to love how easily it holds the kids and their stuff with 30 cubic feet for groceries and gear with the seats up. Fold them flat and it grows to 67 cubic feet for carrying larger loads and tackling those inevitable weekend projects. There is room for three in the back and it will easily accommodate kids or adults with enough room that they’ll all be comfortable even on a longer ride. The interior has a premium feel throughout from the clean design to the quality materials that will make it a place people will be happy to ride in for a few hours. You’ve got quite a few engine choices, and the one you choose will depends a lot on how much performance and fuel efficiency matter. The base is the 2.0-liter, 4-cylinder, turbocharged, direct-injected engine that’s found on the T5 Drive-E which is front wheel drive only. This new engine gives you 240 horsepower and 258 lb-ft of torque which isn’t a lot for moving a 4041 pound car. The T5 all-wheel drive gets a 2.5-liter, 5-cylinder, turbocharged engine that’s a carryover from last year but offers an extra 10 horsepower. 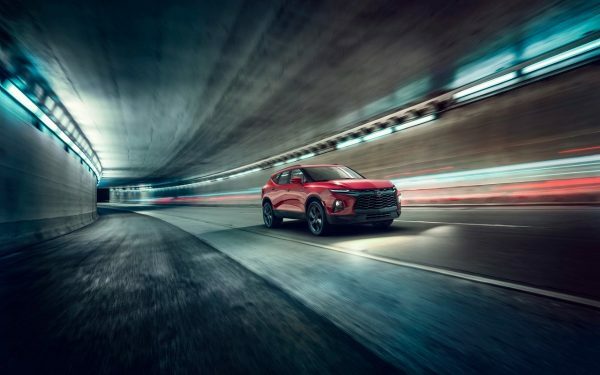 You can then move on to the T6 Drive-E which is also front wheel drive only and features a new 2.0-liter, 4-cylinder, turbocharged, direct-injected engine that is also supercharged and will give you 302 horsepower and 295 lb-ft of torque. The all-wheel drive variant on the T6, again a carryover, is a 3.0-liter, 6-cylinder, turbocharged engine with 300 horsepower and 325 lb-ft of torque. 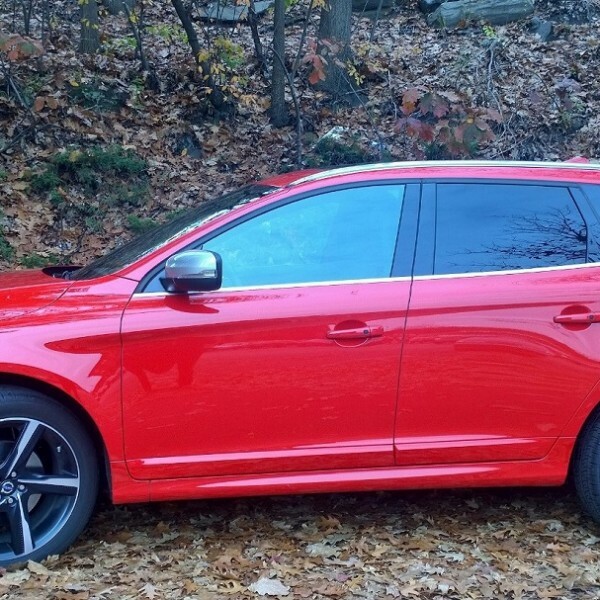 The most performance oriented XC60 you can buy is the T6 AWD R-Design which also gets a 3.0-liter, 6-cylinder, turbocharged engine but with 325 horsepower and 354 lb-ft of torque. This is the car we tested and all that horsepower makes the car a joy to drive. It is speedy quick merging onto the highway and accelerates seamlessly into traffic. Press on the gas and you get a nice, responsive burst of speed for easy maneuvering. It handles beautifully with very little effort required to go where you want to go and steering that is very solid leaving you feeling confident and always in control. City driving is equally manageable, and the suspension evens out the bumps nicely even on rutted dirt side roads. If fuel efficiency is your priority rather than performance, then you’ll want to go with one of the new Drive-E engines as they do much better than their older counterparts. 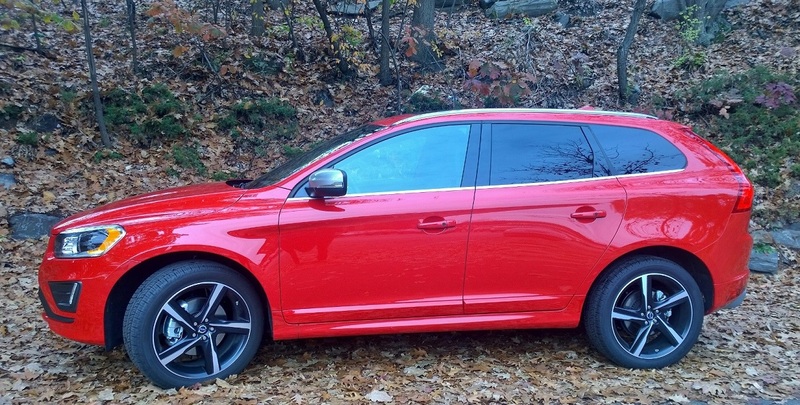 Our 2015 Volvo XC60 T6 R-Design is rated just 17/24 city/highway. The Drive-E engines will get you 31/24 in the T5 or 30/22 in the T6 so you do have to make a choice between performance and fuel economy. The Drive-E engines are also only available on FWD models, so you’ll have to forgo fuel efficiency if you want AWD. One thing you don’t have to make a choice about is safety. This is a Volvo and it lives up to its reputation as a safe car with plenty of standard and optional safety features. 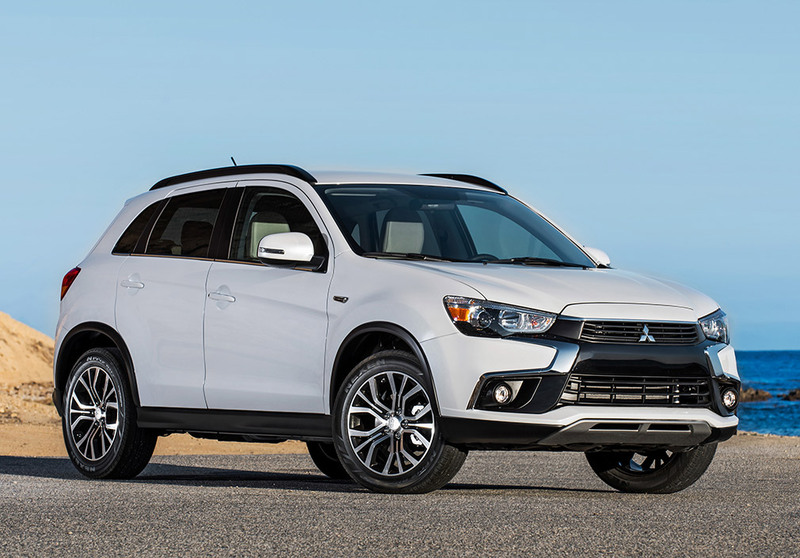 Standard features include City Safety low speed collision avoidance system, LED daytime running lights, roll stability control, a multitude of airbags, seatbelt pre-tensioners, whiplash protection system, dynamic stability and traction control, and emergency brake lights. There are also plenty of optional safety features like adaptive cruise control with distance alert, blind spot and cross-traffic alerts, collision warning with full auto-brake, lane keeping aid and lane departure warning, and active dual xenon headlights with active bending. If safety is a priority, then Volvo is an obvious choice. Priced from $36,200 all the way up to $53,200 for our tester, there are a slew of available configurations for the 2015 Volvoc XC60 that make it suited to a variety of needs. It combines luxurious comfort, utility, performance and safety into the ultimate family hauler. Here's what a Volvo will Cost in "2015.5"